Kosmik Technologies is the best institute for Tableau Training in Hyderabad. We offer Training on Tableau Server, Tableau Desktop, Tableau Reader, Tableau Online, etc. This course is designed for beginners to the intermediate and advanced level Tableau users. it is for anyone who works with analytical background or data regardless of technology. 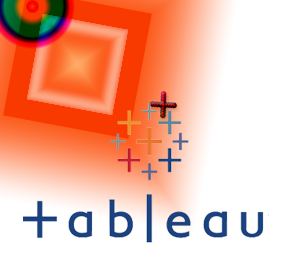 Tableau established in 2003. It provides all the core features mandatory in a Business Intelligence System. It is user interface is easy and can be ingress even by the non-experts. It allows to drag and drop data so that you can examine it’s the way you want to. Users can easy to connect to data and create dashboards quick. It follows a new resemble BI so, that you can produce fast analysis and insights from data. It allows merging data from different sources and using it as input. Which makes it more than 10 times faster than its candidates? The Tableau offers solutions for all categories of industries, departments and data environments. · Toggle view and drag-and-drop. · Highlight and filter data. · Import all ranges and sizes of data. · Security permissions at any level. · Tableau Public for data sharing. Chart Types and Advanced level formatting. OverView of Server or Online.